At Modern Family Medicine, we offer a unique health care setting embracing the Mind, Body, and Spirit. Offering not just diagnoses and prescription medications but alternative treatments such as; Osteopathic Manipulation, Medical Acupuncture, Cupping, Trigger Point injections,Vitamin injections, a “Breathing BarTM”, a meditation atrium, classes and more! Elissa B. Gartenberg, D.O. is Board-Certified in Family Medicine by the American Board of Family Medicine. She grew up in the suburbs of Detroit, Michigan. She graduated from the University of Michigan with a bachelor’s degree in psychology. She attended a post-baccalaureate pre-med program and graduate program in Biology at Harvard University. Dr. Gartenberg went on to medical school at Michigan State University College of Osteopathic Medicine and graduated in 2002. She completed a transitional dual accredited internship through Henry Ford Health Systems in Detroit and Warren, Michigan. She then moved to Arizona and completed her residency in Family Medicine at Mayo Clinic in Scottsdale. Dr. Gartenberg completed her Medical Acupuncture training through the Joseph Helms Institute for Medical Acupuncture at the UCLA David Geffen School of Medicine. 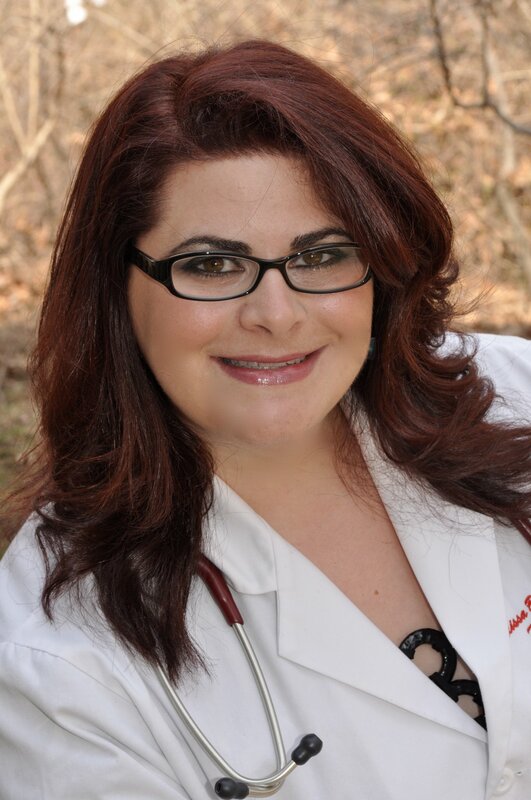 She has always had a passion for alternative and holistic medicine. She is very passionate about tobacco cessation and serves as the State of Arizona’s Tar Wars Coordinator promoting anti-smoking campaign to 4th and 5th graders. She also enjoys teaching medical students. In her spare time, she enjoys writing, public speaking, meditating, hiking, boating, singing, and spending time with family and friends. Chronic disease management: Hypertension, Diabetes, Hyperlipidemia, etc. Modern Family Medicine embraces patients of all ages, races, ethnicities, religions, family dynamics, sexual preferences, etc. As a practice, we value diversity and celebrate our unique differences because underneath it all, we are all just the same. We all need a place to belong to and to fit in and not to be pre-judged by others. Modern Family Medicine is a unique practice which offers a retreat for the community to participate in holistic-minded classes such as, Meditation, Mind/Body skills, Qi Gong, Tai Chi, Yoga, Art Therapy, Baby Music classes, Laughter Therapy, Skin care lessons, Group therapies, special workshops, and more! Group medical office visits should be covered by most insurances for various chronic diseases. Other services at Modern Family Medicine include Virtual Office Visits for qualified patients. A “Breathing Bar TM” situated in the office provide visitors a breath of fresh oxygen using water-based aromatherapy. Soon to come at Modern Family Medicine, will be aesthetic procedures to be performed by an Aesthetician. She will be performing traditional facials and a variety of medical aesthetic procedures including medical-grade microneedling, microdermabrasian, chemical peels, dermaplaning, and counseling on top-of-the-line medical grade cosmeceuticals products. Dr. Gartenberg also prescribes customized compounded cosmeceuticals with the latest researched quality skin care enhancers to treat damaged skin and reverse wrinkles!! Modern Family Medicine’s unique facility is unlike most doctor’s offices. A relaxing private meditation atrium is incorporated into the lay out of the building for patients and visitors to relax and enjoy a quiet cup of tea or practice a meditation exercise. We will also sell onsite products and holistic-minded gifts to relax, empower, and encourage health and wellness or visit our online store. We hope you and your modern family will come experience the modernization of old-world medicine with Elissa B. Gartenberg, D.O. and her energetic caring staff at Modern Family Medicine.